IdliDosa's Photo Blog World Through My Lens…. A Gopuram is a monumental tower, usually ornate, at the entrance of a temple, especially in Southern India. More here. This picture was taken at Shri Venkateshwara Temple in Birmingham, UK. I am not a religious person but I visit the temple often since it gives me peace of mind…away from the noise of traffic…..and the smell of Agarbathis (Incense Sticks) and the Slokas/Mantras lets me unwind. If I am not wrong, this is one of the largest Hindu Temple’s in UK. This entry was posted on May 19, 2008 by IdliDosa. 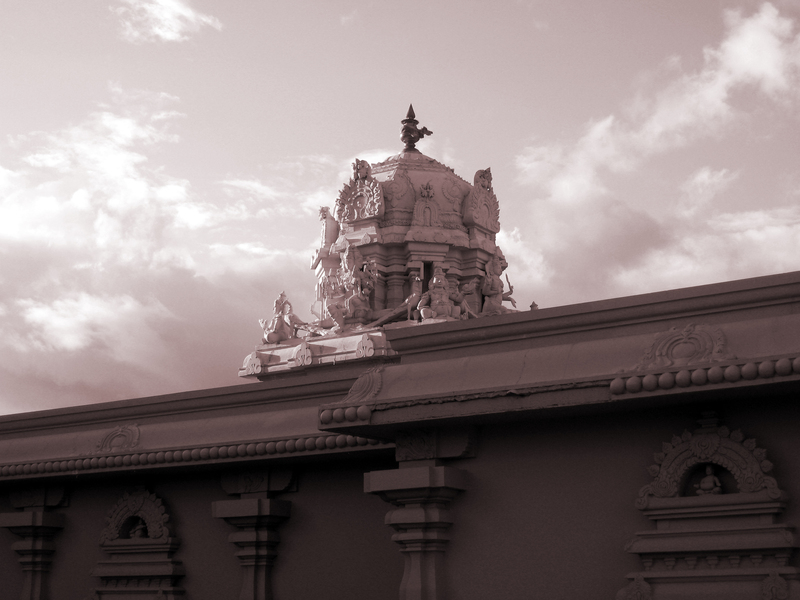 It was filed under Places, Religion, Temples and was tagged with adobe photoshop, birmingham, birmingham balaji temple, england, gopuram, hinduism, photo, photography, Places, Religion, temple, UK.